Coca-Cola India was established as the Indian subsidiary of the US-based Coca-Cola Company during 1993 and as of 2008, Coca-Cola India had its own twenty-four bottling operations and twenty-five bottling operations were owned by franchisees. Therefore, by considering the fact of being largest beverage company in India, Coca-Cola India had made Corporate Social Responsibility as the integral part of its corporate agenda (Becker-Olsen, Cudmore,& Hill, 2006, pp. 46-53). While considering these facts about Coca-Cola India, the purpose of this chapter is to introduce the study being conducted in this paper. 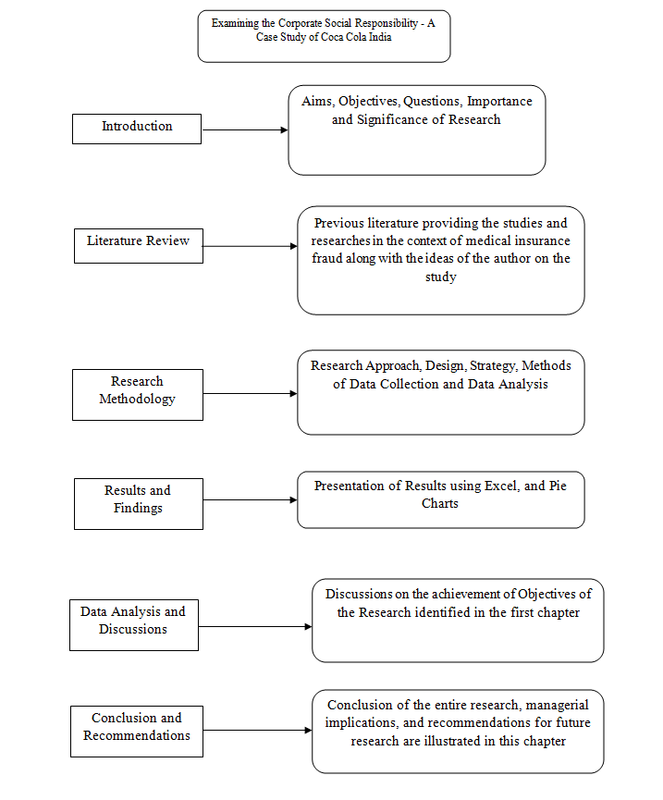 Moreover, the chapter is identifying the aims and objectives for the study on the grounds of background study, which is further used in elaborating the significance and limitations of the study. According to Elliot (2001, pp. 68-71), there has been a vast research studies conducted by the researchers focusing on the relationship between the corporate social responsibility of the organization and the financial performance. However, it has been identified by Rashid and Ibrahim (2002, pp. 10-16) that the corporate social responsibility provides an interesting evolution and culmination of philanthropy. (Get help writing essay paper from our custom essay writing service.) Therefore, it can be said that the corporate philanthropy has evolved from the donation of cash and products to the non-profit organizations to focus on the theme, which creates certain relationship to the core business of the organization (Corporate Social Responsibility, 2000, pp. 111-116). Moreover, the stakeholders require the organizations to go beyond the notion of strategic philanthropy and international code of conduct. The investors want to observe financial gains from the investments of organizations in the CSR initiatives (Hick, 2000, pp. 72-73). The Coca-Cola gained the symbol of friendliness and refreshment across the globe during the period 1940 to 1970, which was one the rapid international growth. It entered India during 1970s and it opted to close down its operations in India due to the political constraints (Hills& Welford, 2005, pp. 168-177). However, during 1993, the market was opened for foreign organizations to establish their operations in India and during the same year, Coca-Cola re-entered the country through a strategic alliance with Parle Exports. This alliance provided the Coca-Cola India with ownership of five of Parle’s renowned brands, namely, Limca, Maaza, Gold Spot, Thums Up, and Citra with a market share of approximately sixty percent (Luo& Bhattacharya, 2006, pp. 1-18). Moreover, in order to remain in line with the CSR strategy of parent company, the organization had endeavoured to touch the lives of people and communities positively. It has been claimed by the Chairman and Chief Executive Officer of Coca-Cola India that the organization believed in creating the value for shareowners and stakeholders by running a successful business (Kumar, 2008). Furthermore, the organization is helping in the development of economic and social value, protection of environment, and contribution to the long-term sustainability of every community. (Students assignment help is most trusted and recommended among Singapore students) It has been observed that the environmental responsibility was a key aspect of the CSR initiatives of Coca-Cola India because the organization was involved in the production of beverages, which affected the environment in different ways (Raynard& Forstater, 2002). The influence of production on the environment includes the excessive levels of water consumption, wastewater discharge, high-energy consumption, discharge of effluents, and vending machines. Therefore, the organization was criticized as having an adverse impact on the environment due to which it focused on the sustainable efforts to minimize the impact on the communities and the markets (Martin, 2002, pp. 69-75). What is the role and importance of corporate social responsibility in multinational corporations? What are the ways of CSR activities that help the MNCs to build the strong relationship with their stakeholders? How can the effects of CSR characteristics be evaluated on the operational activity of MNCs? What is the role of importance of CSR of Coca Cola India to establish strong relationship with its stakeholders? How can the CSR of Coca Cola India help in creation of harmony between its stakeholders and the organization? The research background of the study has provided that the Coca-Cola India has been facing certain issues and challenges regarding the implementation of its CSR. Therefore, it can be said that the research is significant because CSR follows the image building, employee morale, and ethics of the organization. It provides the significant business issues for the reader of this paper regarding Coca-Cola India followed by the CSR trends in the country. (The professional dissertation help service at Writer Support UK is here to help.) Moreover, the study provides the benefits of CSR from the procedures of liberalization and privatization for the Coca-Cola India. The study is providing the ways and procedures for the organization to implement the strategic planning and policies to overcome the potential controversies relevant to the CSR and enhance the profits for the stakeholders of the organization. It can be concluded from the chapter that the study conducted in this paper aims to assess the significance and influence of CSR on the Coca-Cola India. The objectives of the study are formulated based on the background study provided in the chapter. Moreover, it can be also concluded that the study is significant in the context under consideration because the CSR is the most essential element for the attraction of stakeholders of the organization. Thus, it can be said that the stakeholders of Coca-Cola India considers the CSR of organization as the most essential element and the symbol of increasing profits. The next chapter of this study illustrates the previous literature to provide support and ground to construct the methodology for the study.